MOSCOW, May 29. /TASS/. It was announced on May 29, 2018 that the Syrian Arab Republic had agreed on mutual recognition and the establishment of diplomatic relations with the Republic of South Ossetia and the Republic of Abkhazia. Syria became the fifth country to recognize the independence of both republics after Russia, Nicaragua, Venezuela and Nauru. In 2011, the republics’ independence was also recognized by Tuvalu and Vanuatu. However, they subsequently withdrew their decision as they signed documents on establishing diplomatic and consular relations with Georgia. The independence of Abkhazia and South Ossetia was proclaimed in 2008, after the end of the armed conflict with Georgia. Overnight to August 8, 2008, Georgia attacked South Ossetia, following which Russia moved to defend civilians, many of whom held Russian citizenship, along with Russia’s peacekeepers. On August 9, Abkhazia entered the armed conflict with Georgia, launching an operation to oust Georgian forces from the Kodori Gorge. On August 12, Russia officially announced the end of its operation to compel Georgia to peace. As a result of the five-day war, the Georgian troops were driven out of South Ossetia. The war claimed over 1,000 lives, including those of 72 Russian servicemen. 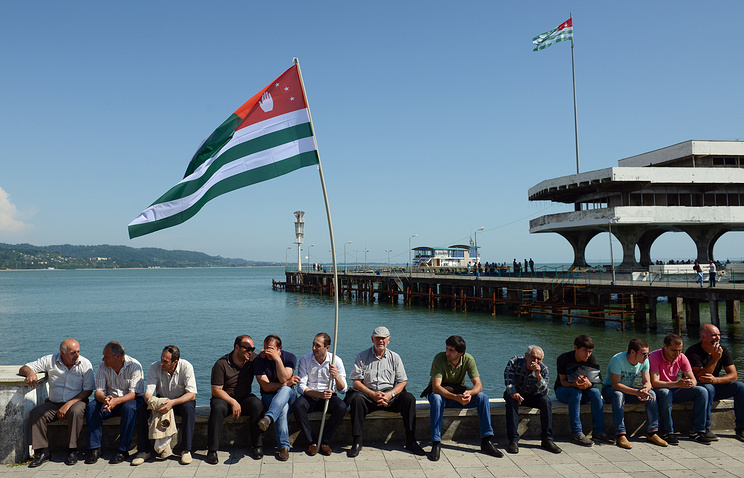 On August 20, 2008, the parliament of Abkhazia turned to Russia with a request to recognize the republic’s independence. On August 22, a similar request came from the South Ossetian parliament. On August 25, both houses of Russia’s parliament, the Federation Council and the State Duma, adopted addresses to then-Russian President Dmitry Medvedev on recognizing the republics’ independence. The State Duma also sent a message to the parliaments of UN member states and international parliamentary organizations, urging them to follow Russia’s example. On August 26, the Russian Federation recognized the independence of South Ossetia and Abkhazia. The relevant decrees were signed by then-Russian President Dmitry Medvedev. In his statement, the head of the Russian state stressed that he had made this decision, "taking into account the free expression of the will of the Ossetian and Abkhazian peoples and following the provisions of the UN Charter, the 1970 Declaration on Principles of International Law concerning Friendly Relations among States, the CSCE’s 1975 Helsinki Final Act and other fundamental international documents." On September 9 that year, Russia established diplomatic relations with Abkhazia and South Ossetia. On September 17, bilateral agreements on friendship, cooperation and mutual assistance were signed. In December 2008 - January 2009, the first ambassadors of Russia and Abkhazia, Semyon Grigoryev and Igor Akhba, and also the first ambassadors of Russia and South Ossetia, Elbrus Kargiyev and Dmitry Medoyev, exchanged their credentials. On September 3, 2008, Nicaraguan President Daniel Ortega who spoke at a rally on the occasion of the 29th anniversary of establishing the Sandinista armed forces announced that his government recognized the independence of Abkhazia and South Ossetia and expressed full consent with Russia’s position. On September 5 that year, Ortega issued official decrees on recognizing the independence of both countries. Abkhazia and South Ossetia were officially recognized in the documents as "members of the community of the world’s independent states." Pursuant to the constitution, the decrees by the republic’s president are final official acts of recognizing state independence and do not require the Nicaraguan parliament’s approval. A joint statement on establishing Nicaragua’s diplomatic relations with Abkhazia was adopted on September 10, 2009 and with South Ossetia on April 14, 2010. On August 29, 2008, Venezuelan President Hugo Chavez announced that he backed Russia’s decision to recognize the independence of Abkhazia and South Ossetia. On September 10, 2009, during his visit to Moscow, Venezuela’s leader told then-Russian President Dmitry Medvedev about recognizing the independence of both republics (under the Venezuelan constitution, foreign policy is the prerogative of the head of state and does not require the parliament’s approval). Diplomatic relations between the countries were established during a visit by Presidents of Abkhazia and South Ossetia Sergei Bagapsh and Eduard Kokoity to Caracas on July 24, 2010. Nauru recognized the independence of Abkhazia and South Ossetia in 2009 by signing agreements on establishing diplomatic relations. Nauru established diplomatic relations with Abkhazia on December 15, 2009. The relevant agreement was signed by the foreign ministers of both countries in Sukhum. The following day, on December 16, diplomatic relations were established between Nauru and South Ossetia.